The seventh annual World Autism Awareness Day is April 3, 2013. Every year, autism organizations around the world celebrate the day with unique fundraising and awareness-raising events. 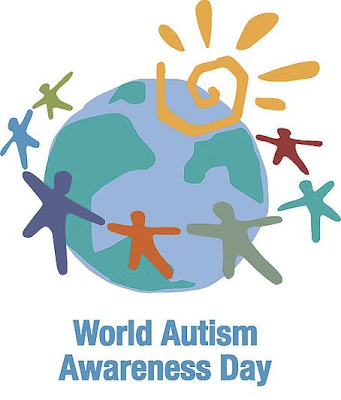 The World Autism Awareness Day (WAAD) is on April, 02 every year. It was designated under by the United Nations General Assembly resolution "62/139. World Autism Awareness Day," adopted on December 18, 2007, proposed by Representatives of the State Qatar, and supported by all member states. The World Autism Awareness Day Resolution had four main components: (1) the establishment of April 2 as WAAD, (2) participation of UN organizations, member states, NGOs and all private & public organizations in WAAD, (3) raise awareness of Autism on all levels in society, (4) Security-General should deliver this message to member states and all other UN organs. We are commemorating WAAD in Singapore with a Parent's Network event and a Children's Music and Arts festival. If you are keen to volunteer in any way to organise the event, please contact chiu@olive-tree.sg. or Check www.olive-tree.sg. Come help the lives of families and children find rest, joy in their journey.